In any discussion of Methods of Underground Mining Comparison, one is repeatedly confronted with the difficulty of dealing with so many variable conditions. It is not an exact science and in the choice of a method each varying factor has a certain weight, which, in many cases, experience alone can determine. In mathematical terms, it is a function of many variables. A discussion of Underground Mining also loses much of its value unless costs are considered, because the expectation of profit is the only excuse for carrying on mining at all. As conditions vary they cause fluctuations in cost and there are few operations to which a definite cost can be assigned. The character of the ore may make it difficult to drill, yet because of the ease with which it breaks the total cost of drilling and blasting may be low. In preparing this article the attempt has been, not to cover the whole field of mining, but to describe the different methods of stoping and mining which have distinct principles. 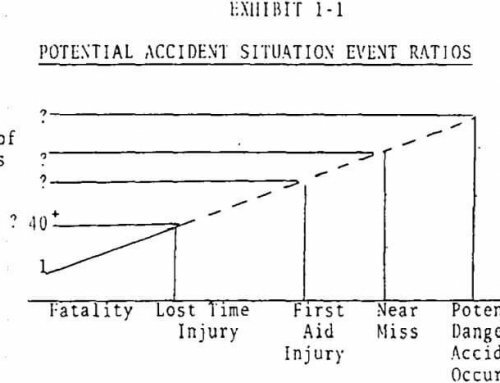 In addition to this an effort has been made to show the advantage of dissecting the methods into their detailed operations and applying to these a mathematical study as an aid to the judgment in determining which is the best method to adopt, or in attempting to reduce the cost of a method already in use. Methods of mining include stoping, caving, and various methods of working large deposits which, in addition to the method of actually breaking the ore, require elaborate and definite plans of, development of the orebody. The ordinary methods of stoping are too familiar to all for any elaborate discussion, but it has seemed advisable to review the subject and give the principal advantages and disadvantages of the different methods. Character of the ore, whether high or low in grade. Whether the values are regularly or irregularly distributed. Physical character, whether hard or soft, tough or brittle. Character of the country rock. 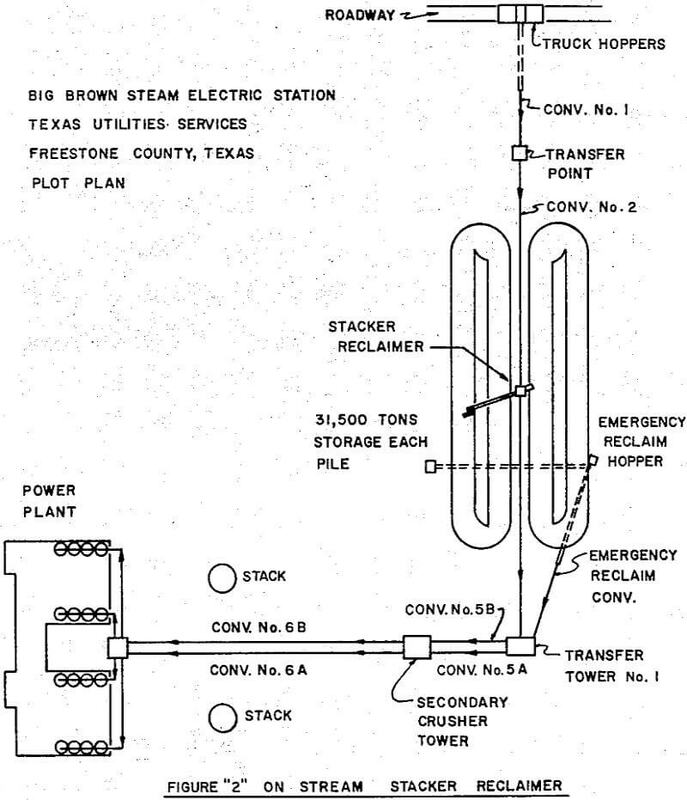 Immediate and future demands for ore. Amount of development work done or that may be necessary. Amount of water to be handled. Cost of power, timber, and supplies. Whether drilling is to be done by hand or with machine drills. Ore is hoisted to the level above; Cornish stoping. Ore is drawn from the level below. Cutting out, or lead stoping. Longitudinal back, flat-back, or long-wall stoping. The method of underhand stoping in which the ore is drawn to the level above (B, Fig. .1), is called Cornish stoping. It finds application only when it is necessary to mine a lens of good ore below a level and it is not practicable or financially possible to do the necessary development to come up from underneath. Its disadvantages are the excessive cost of raising both ore and water. Ease in drilling down holes when drilling is done by hand. Holes are drilled wet and dust is eliminated. No platforms are required on which to drill. Limited to steeper pitches than overhand stoping because the ore does not work straight down the foot wall to the raise; in flat pitches this would necessitate more shoveling. Limited to good walls if the vein is steep. Loose rocks sluff off from poor walls and endanger the workmen below. Levels ordinarily must be driven closer together to reduce the height of the unsupported walls; this necessitates an added cost of development. Raises must be put up at frequent intervals. This work in some cases amounts to 35 or 40 per cent, of the total development. No ore reserves are possible. The waste that can be sorted in the stope if the vein is steep is limited to what can be thrown on lagging supported by stulls. Certain efficient types of stoping drills cannot be used. “uppers” in a shift. South Africa had its native labor which could not be taught to drill them. It might seem on first thought that the disadvantages are so numerous that they preclude any chance of the method being adopted under ordinary labor conditions, but I have examined mines where the combination of conditions in narrow veins indicates very strongly that the method would be more economical than overhand stoping and quite as safe. Stoping can be started directly from the level without any raises or winzes. Levels can be driven far apart. These two considerations mean less cost for development. Advantage is taken of the force of gravity in breaking the rock. Miners work at the back and can inspect it so that the danger of falling rocks is largely eliminated. 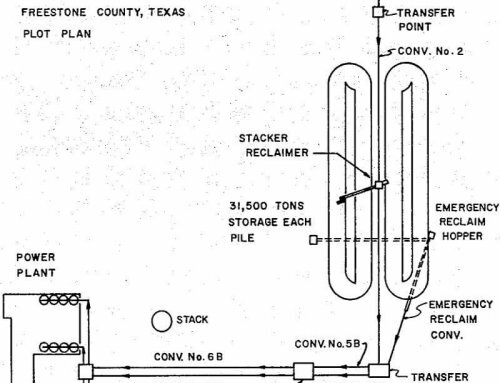 Either ore or waste can be stored in the stope. 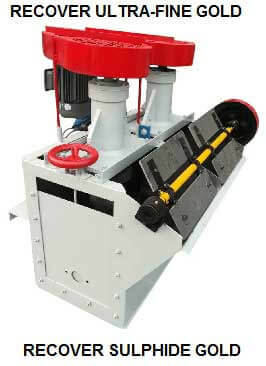 A flatter seam can be worked than in underhand stoping without the necessity of shoveling, as the ore runs directly down the pitch and is given an impetus by the blast. Water takes care of itself. Pillars of ore or waste can be left easily. In most cases holes must be drilled up or flat. If the stope is not filled with ore or waste, stulls and platforms must be used, even though the walls require no support. If the raises are far apart ventilation is poor. Starting an Overhand Slope.—In Fig. 2 are shown various methods of working the back in overhand stoping. 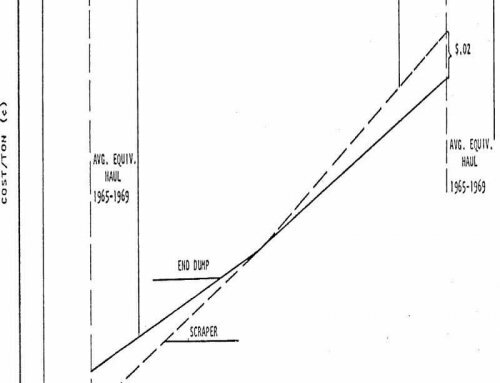 To start the stope, if the ore is low grade and timber is scarce, a pillar or pillars are left above the level as shown in A, and if the ore is high grade it is all removed above the level and stulls are placed as shown at B. To start a stope as shown at B, a cutting out or lead stope is broken immediately above the level as shown at D, Fig. 2. C, Fig. 2, is a wide raise or raise stope, which is one method of opening an overhand stope, and E is a drift stope, which is a term used in the Lake Superior copper mines and means a wide and high drift as a start for the overhand stoping. If the stope is filled with waste or ore it is more convenient for men to work on a level surface. Tramming, shoveling, or sorting in the stope can be done to better advantage, and waste raises can be driven farther apart. Square sets may be conveniently placed by making the benches the proper height. Timber struts or cribs can be used between the filling and the back, in case the latter is weak. A long stope distributes the broken ore well along the level, and tramming is thus facilitated. The principal disadvantage of a flat-back stope is that if filling is used, and kept close to the back, it must be distributed in wheelbarrows or cars. When waste filling is run in from the raise it has a sloping surface which makes it difficult to keep ore and waste from mixing, and is unhandy for men to work. 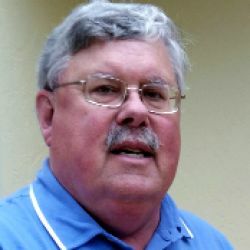 Raises must be put in at frequent intervals, and the added cost of, these raises may exceed the cost of spreading the filling in a flat-back stope. 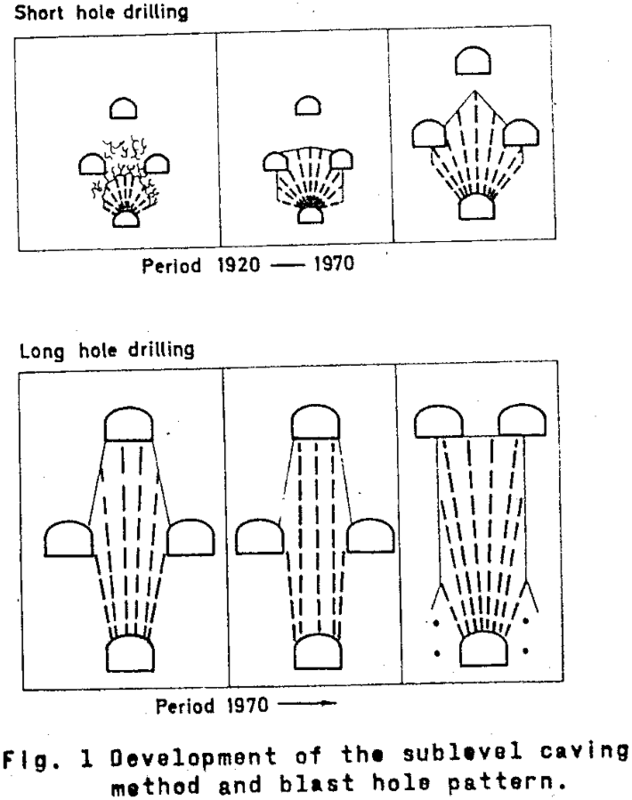 Ore chutes must be carried up through the filling, and the timber used in their construction cannot be recovered. This is a disadvantage as compared with shrinkage stoping. At F, Fig. 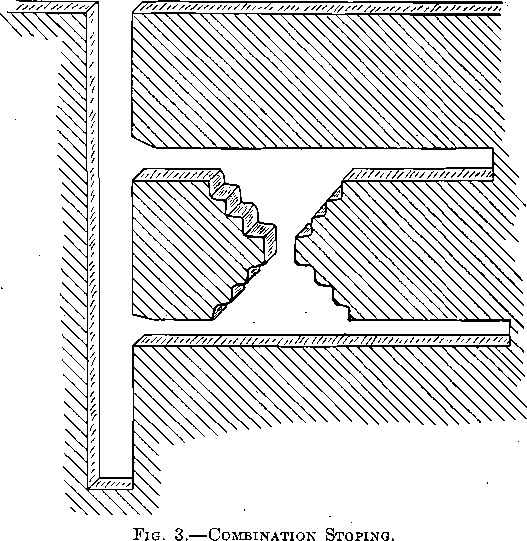 2, is shown a method of rill stoping in which the benches are inclined so that down holes can be used. Down or water holes give off no disagreeable dust, and can be drilled faster with piston machines. This method of carrying the back in an overhand stope is shown at G, Fig. 2. It is claimed that it makes drilling more convenient if machine drills mounted on a bar are used. Shrinkage stoping refers to any overhand method in which the stope is kept full of broken ore until it is completed. The miners stand on top of the broken ore and work at the back. As broken ore takes up more space than ore in a solid mass, about 35 to 40 per cent, of it must be drawn to leave room for working. Raises may be placed far apart. The broken ore serves as a support to the walls. This does away with the necessity for much timber. The miners work on top of the broken ore; timber platforms are eliminated, and the work is made much easier. It is also convenient to work a larger number of men in the stope. A large ore reserve is maintained. Large rocks can be broken with sledges in the stope and blocking the chutes is avoided. No ore passages are required from the level up to the back of the stope. Manways are necessary up through the broken ore, but the timber used in their construction can usually be recovered when the ore is drawn. Ventilation is better than in an empty stope. Stoping must be kept ahead of the demand for ore. This requires additional capital. There is practically no opportunity to sort ore in the stope. Ore filling is not permanent and the stope may cave when it is withdrawn. Scaling or unstable walls may cause waste to mix with the ore or prohibit the use of the method altogether. Although shrinkage stoping is rather generally used, it would be used more if it were not for the fact that many mines are hot in a condition to keep an ore reserve, but must draw the ore for the mill as fast as it is broken. The added efficiency to be obtained from the miners when working on a firm floor of ore, and not on loose lagging laid on stulls, is a very important advantage of the method. In a discussion of stoping methods, steeply pitching veins are usually referred to, because the majority of veins in nature are steeper than 45°, and also because to refer each method of stoping to veins of all dips causes confusion. Before considering combination stoping, however, a brief resume of the methods of handling ore in veins of different dips is necessary. In veins dipping from 35° or 40° up to 90° the ore runs down by gravity. From 20° to 35° it must be assisted by shoveling, or by using chutes with smooth bottoms or placed at an angle steeper than, that of the vein. From 10° to 25° the ore may be taken down to the level by shoveling, shaking chutes, mono-rail trams, gig-back railways, or conveyors. From veins that are horizontal up to those having dips of 10° to 15° tracks are usually laid on the foot wall and cars are pulled up to the face by men or animals. An animal can pull an empty car up a 6° slope and a loaded car up a 3° slope. So in dips greater than 6° the track must be laid at an angle with the line of the dip. In combination stoping, which is illustrated in Fig. 3, and which is a combination of underhand and overhand stoping, it is possible to keep the working face more nearly in a line parallel to the raises and perpendicular to the level. This is a distinct advantage if a stationary or shaking chute is being used to carry the ore to the level, because a large part of the face of the stope is accessible to the chute. This becomes a double advantage if a large output is required. In combination stoping development work is also reduced because levels may be driven far apart, and fewer raises are required than in simple underhand stoping. 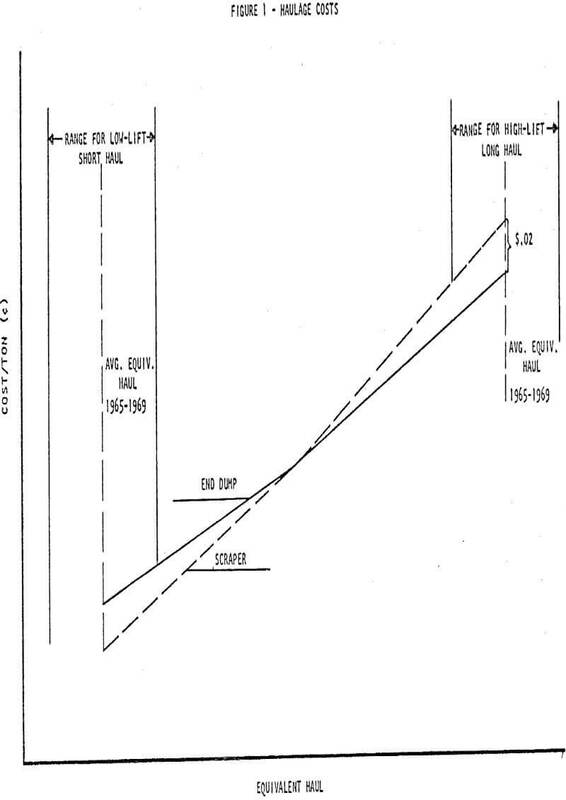 This is an extreme of combination stoping in which the working face of the stope is vertical. The face is parallel to the raises just as the face in flat-back stoping is parallel to the levels. becomes either underhand or overhand stoping. In some cases the benches in underhand or overhand stoping are called breasts, and the method breast stoping, but I believe that is not the usually accepted definition. 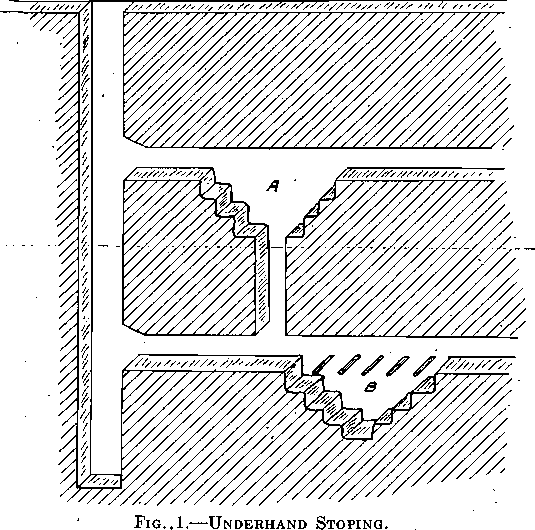 Breast stoping, in the strict sense, is the only name applicable to the mining of a horizontal slice, such as the sill floor of a large overhand stope, or the slices in the top-slicing method. each sublevel is drawn back; the broken ore is drawn off through the funnel-shaped raises, which leaves a large open stope. 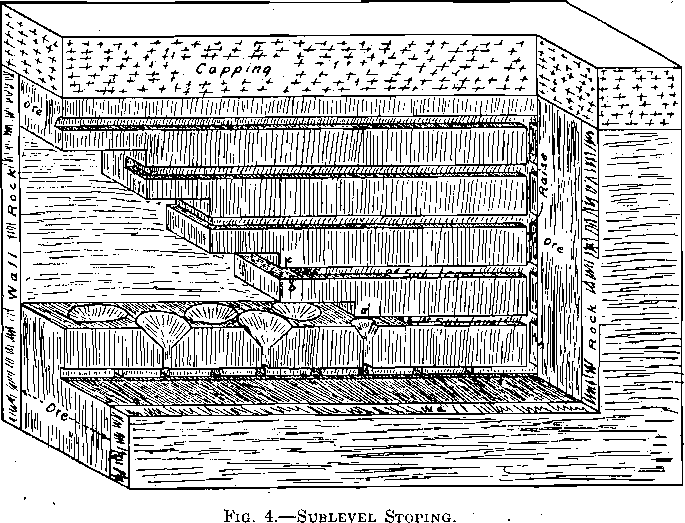 The sublevels are driven about 25 ft. apart vertically, and 8 to 10 ft. are shot off from each bench from the sublevel below. 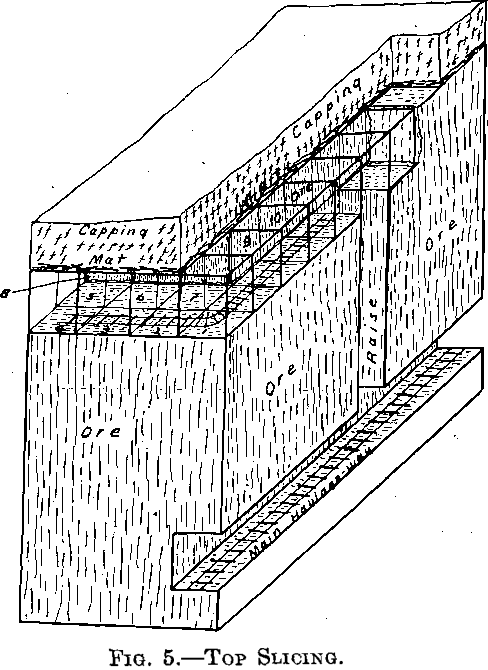 Obviously where there is a capping above the ore, as shown in the cut, part of it will fall when the upper bench is blasted and part or all of this ore may be lost. “When the ore is from 50 to 100 ft. wide, a narrow stope of about one-third of the width of the ore is drawn back through the middle, leaving a pillar of ore standing on each side.” These pillars or slabs left against the walls are then drawn back in the same manner. The method is applicable to veins from 12 to 100 ft. wide, or wider, if pillars are left between stopes, and evidently comes into competition with shrinkage stoping, square-set stoping, and top slicing. It requires expensive development but permits a large tonnage to be broken in a relatively small stope. The working back of the slices on the sublevel is expensive mining, but after that is done the rest of the ore blasted from the benches requires a comparatively small amount of powder. Square-set stoping may refer to any method of stoping in which square-set timbers are used. Unless otherwise specified, however, the term is limited to overhand flat-back stopes in which square sets are used, either with or without waste filling. 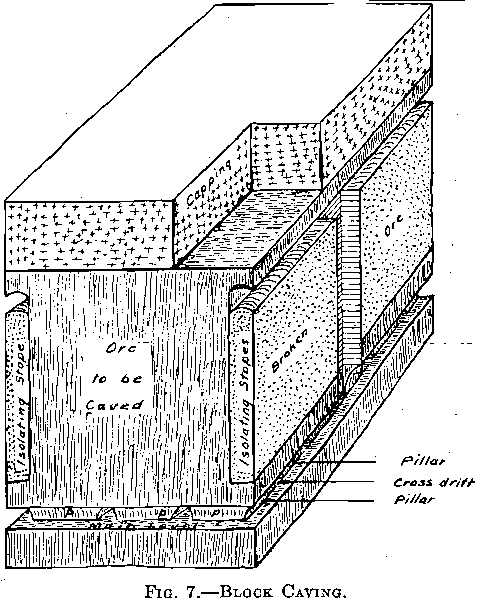 Square-set mining is advantageous when the vein is wide and the walls will not stand without timbering and shrinkage stoping cannot be used; when, on account of surface conditions, caving cannot be allowed, or where caving might cause the loss of other orebodies; when the ore changes rapidly in grade and requires frequent sampling; when the orebody is irregular in outline; and when old stopes may have to be approached or passed through at some later time. Mine workings are filled with waste as an aid to timbers in supporting weak walls or back, or to avoid fully or in part the use of timbers. Workings that must be prevented from caving for a length of time in the future are best protected by waste filling. The filling may be waste rock from development, rock blasted from the walls or surface for the express purpose of filling, or, if available, sands, from concentration mills make excellent filling and are cheaply placed in the stopes. There are three distinctive methods of working large deposits that involve, in some way, the factor of caving. Slightly different names are in use, but those that are simple as well as descriptive are top slicing, sublevel caving, and block caving. 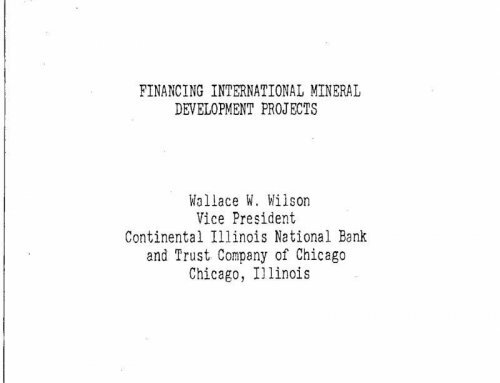 In a discussion of these methods, three things must be borne in mind: that the methods are usually applied to massive deposits; that the deposits are usually divided into blocks or panels, and the description of mining one panel is practically a complete description of the method; and that, in most cases, the orebodies do not come to the surface but are covered with a capping. This capping may be glacial drift, as in some instances in the iron regions around Lake Superior, or it may be rock from which the ore values have been leached, as is the case at some of the large copper deposits. capping lying above the ore is supported on square sets or posts until a slice, or part of a slice, has been worked. The floor of the slice is then covered with slabs or plank and the supporting timbers are shot out and the capping is allowed to cave on to the timber floor. This floor and the broken posts form what is called a mat, which keeps ore and capping separated. The miners then start in the raise and work out another slice of the ore just under the previous one and catch up the timber mat with posts or square sets. When this slice is completed another floor is laid and the supports again blasted. In this manner the ore-body is worked in successive slices from the top downward. The broken ore from each slice is run to the raise in wheelbarrows or cars and dropped to the haulage level. The capping caves and follows down on top of the mat. In this method the ore is not caved at all, but the ground above the ore does cave, and the surrounding country will cave more or less according to the amount of ore removed. If there are any other orebodies in the region affected by the cave, they will be lost or their recovery made more difficult. This is one of the reasons which may prohibit the use of caving methods. Also, unless the deposit is small compared to the distance to the surface, surface subsidence will take place and the surface must be free from buildings or roads. Top slicing is adaptable to heavy ores that can be mined easily, and require heavy timbering and filling if worked by overhand stoping. Deposits of large extent, over which the overburden will cave readily, are customary conditions. In some cases, top slicing may require as much or even more timber than an overhand stope with square sets, but for very heavy ore, which if worked overhand necessitates strong sets, reinforced and braced, it takes less timber, and in any case poorer timber may be used. The following are the advantages and disadvantages of top slicing, chiefly as compared with overhand square-set work or with other methods of caving. Cheaper timber, and for heavy ores less timber, is required than for square-set stoping. No waste filling is necessary. Ore can be sorted as mined. Very little waste from the capping becomes mixed with the ore.
Less skilled labor is required. Any rich fine ore produced in breaking will be saved on the slice below. Complete extraction of the ore is possible. 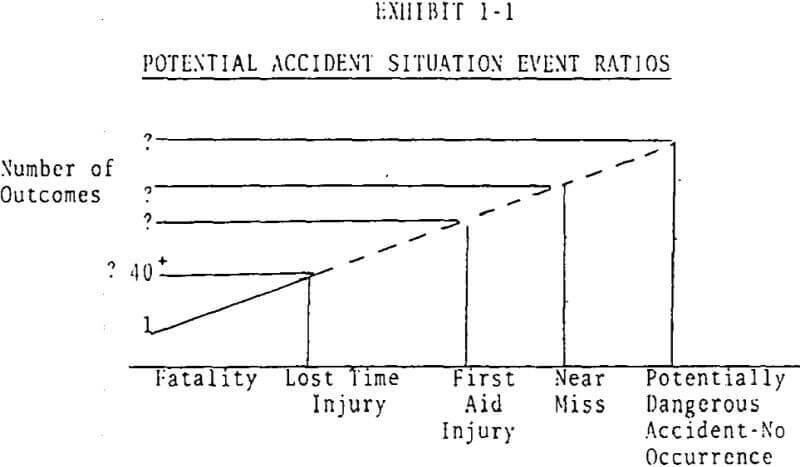 Caving may cause injury to surface structures or render unworkable other orebodies in the region. 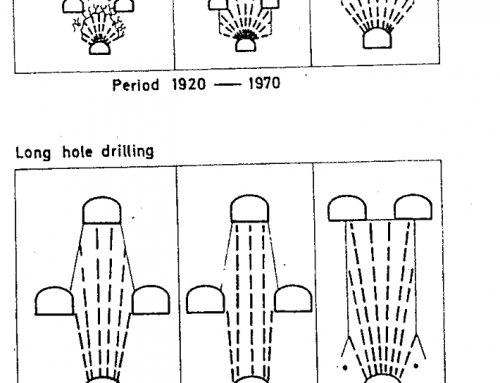 Mining the ore by breast stoping requires more drilling and blasting. Broken ore on the slice must be shoveled into barrows or cars and , taken to the raises. Development must be kept ahead of the demand for ore. It is difficult to leave bodies of low-grade ore which may be found in the deposit. Ventilation is difficult, and in some cases, the decaying timbers in the mat give off heat,and obnoxious gases. 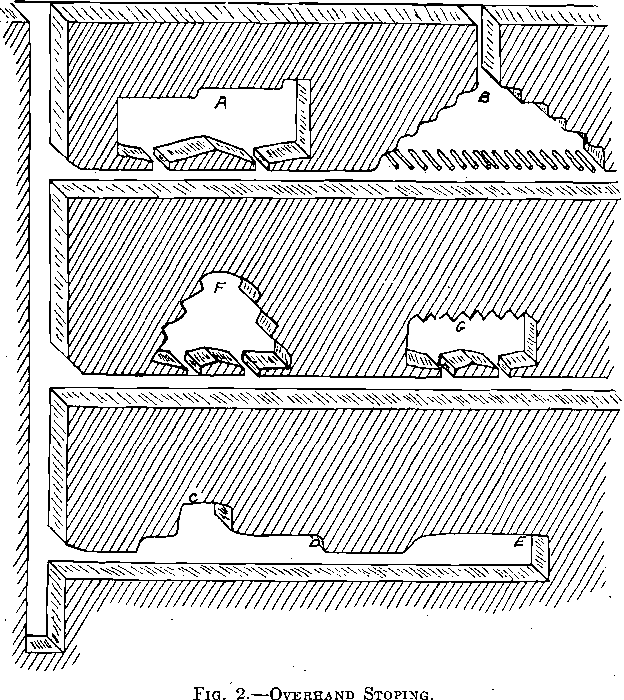 It is possible to work only on the top of the ore, and although several slices may be worked at the same time, it is not possible to establish work at different levels. This may make it difficult to obtain a required tonnage from a deposit of small horizontal section. Capping should cave readily, and not arch, or the method may become very dangerous. of ore is left above the slice, however, and when a small portion of the slice has been mined out, this back is allowed to cave. Fig. 6 shows a block or panel of ore worked by sublevel caving. Raises are put up from the haulage level, and from these sublevel drifts are driven 14 to 20 ft. apart vertically. When these drifts reach the boundary of the property, or of the panel to be worked, cross drifts as a, b, and c are driven across the block and timbered. The back of ore is thus undercut but is supported by the drift timbers. The timbers of cross drift a are next blasted and the weight of the capping caves the back of ore down on to the floor of the slice, where the miners shovel it into cars and push it to the raise. A timber mat may be used as in top slicing. 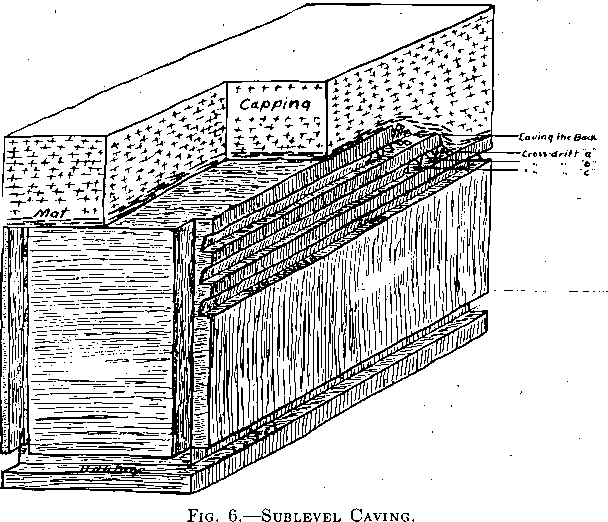 Sublevel caving is adaptable to massive deposits or wide veins in which the ore is not difficult to break, yet is firm enough to hold the capping while supported by the drift timbers. An overburden that will readily cave is necessary. The cost of mining is low, because a large percentage of the ore is broken with little or no blasting, and the amount of timber used is small. A large output is possible. A large percentage of the ore can be saved. The ore can be kept freer of waste than in block caving. It is limited in application to certain ores. A large amount of development is required which must be kept ahead of the demand for ore.
A large part of the ore must be shoveled. Caving endangers surface and other ore deposits. There is some danger to the miners. Block caving is an extreme case of sublevel caving in which instead of a back of ore 5 to 10 ft. thick, one 50 ft. thick is undermined and allowed to cave. The method is illustrated in Fig. 7. After the bottom of the block, or panel, is cut up into pillars by drift’s and cross drifts, the pillars are robbed, and then the remaining stumps are blasted out with one large blast. This allows the entire block above to cave. In settling it disintegrates so that it can be shoveled with very little additional blasting. For a block to cave it is usually necessary for it to be freed on one or more sides. This is done, as shown in the cut, by narrow stopes, called isolating stopes. After the ore has settled for from two to six months timbered drifts are driven through it. The broken ore is allowed to run into these drifts, starting farthest from the shaft, is shoveled into cars and trammed out. As soon as capping shows at any point shoveling is stopped. The cost of mining is low because very little drilling and blasting, or timbering is required. The amount of development is small. The method is limited in application to low-grade ore of such character that it will cave and disintegrate. A large amount of ore becomes mixed with capping and lost. There is no opportunity to select or sort the ore.
main stopes and allowing the rest of the ore in the center to fall of its own weight. That is, a large percentage of the ore is mined by caving. The broken ore is drawn off through chute raises in the bottom of the stope. As far as I am aware, the preceding pages cover every method of mining that has a distinctive feature and can be readily classified. There are innumerable different systems of mining but they all involve only these principles, or modifications and combinations of them.